Renewpowers Technology believes in advanced renewable power electronics. We make a positive difference in the lives of people around the world by combining proven technology with unparalleled market understanding to bring our customers products that enable the delivery of electricity anytime, anywhere. 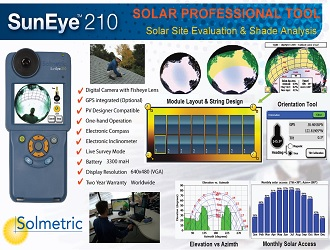 The SunEye 210 is an integrated Shade Analysis Tool for solar site assessment. It includes a fisheye camera and a dedicated on-board processor to perform digital image processing and analysis to compute shading and solar access percentages. It includes an electronic compass and inclinometer enabled to measure roof pitch and azimuth. Solar modules are units with electrical connections that are made up of several solar cells. Direct current is collected from sunlight in the modules and then converted to grid-compatible alternating current by inverters. The mono-and polycrystalline products from SolarWorld AG come in different sizes, making them suitable for all applications – from a residential rooftop to a large-scale facility. 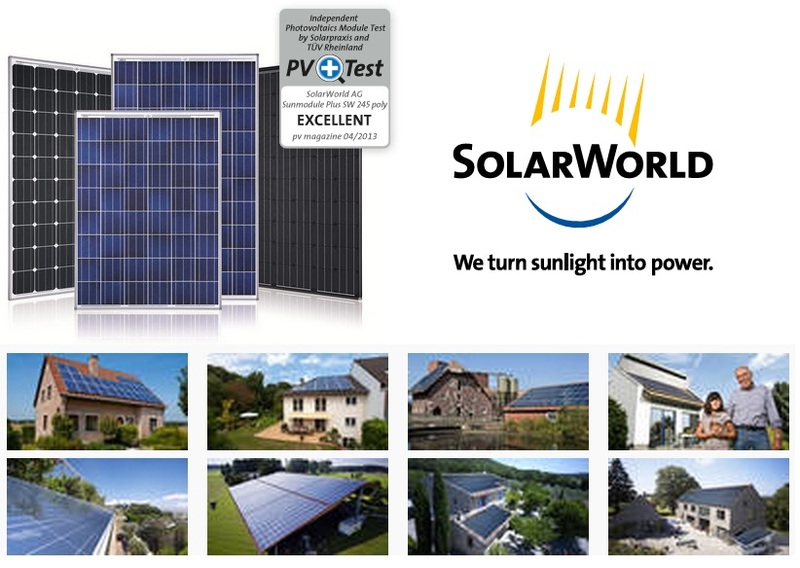 We manufacture modules for off-grid and on-grid solar power systems. 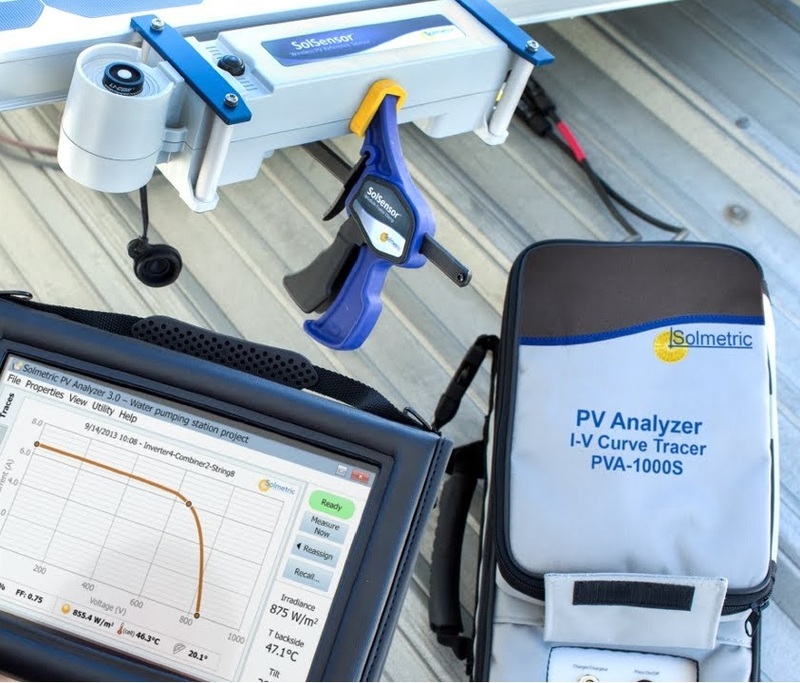 The Solmetric line of PV Analyzer I-V curve tracers are widely used in Commissioning, Auditing, O&M, and Troubleshooting of PV systems. Features include the highest measurement throughput (measurements per hour), the most reliable Go/No Go testing, and the largest user interface with the clearest visualization of performance issues. The PVA-1000S with SolSensor extends the PVA voltage range to 1000V and delivers industry-leading accuracy for I-V curve, irradiance, and temperature measurement. SolSensor’s 300ft wireless range allows you to measure more of your system with a single sensor deployment. With more than 38 years of commitment, Kyocera remains at the forefront of solar-power technology, making renewable energy available to the whole world. 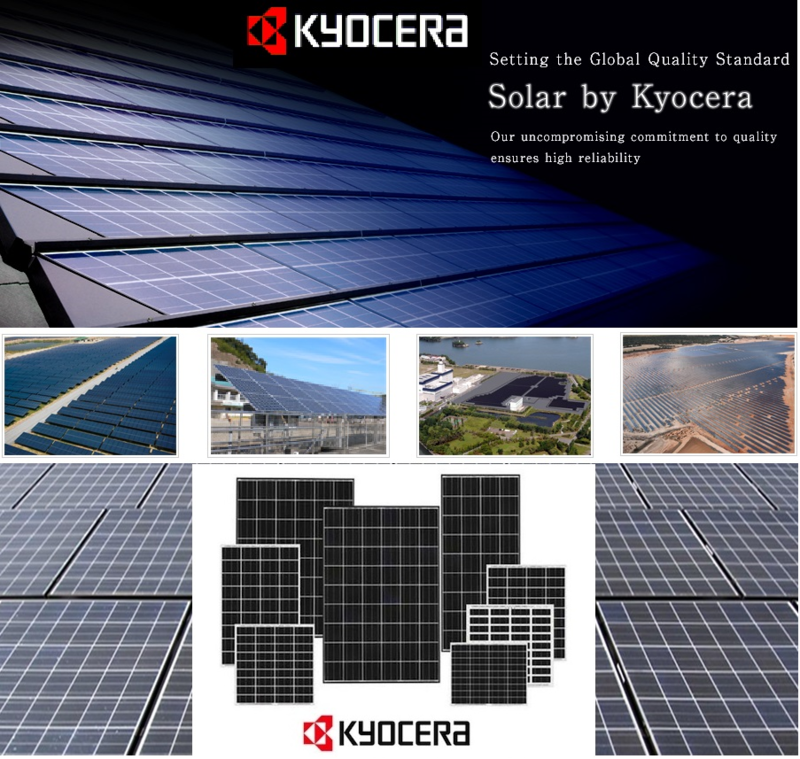 The excellent, constantly controlled quality, the enormous efficiency levels, and the long service life of our products, coupled with our position as a highly-renowned and world-famous major corporation are just some of the benefits that more and more Kyocera customers have chosen to enjoy. You too can profit from the over 35 years of experience of one of the real pioneers in the solar cell market. You can choose between a wide range of modules to be sure that you find the optimum solution for your project. 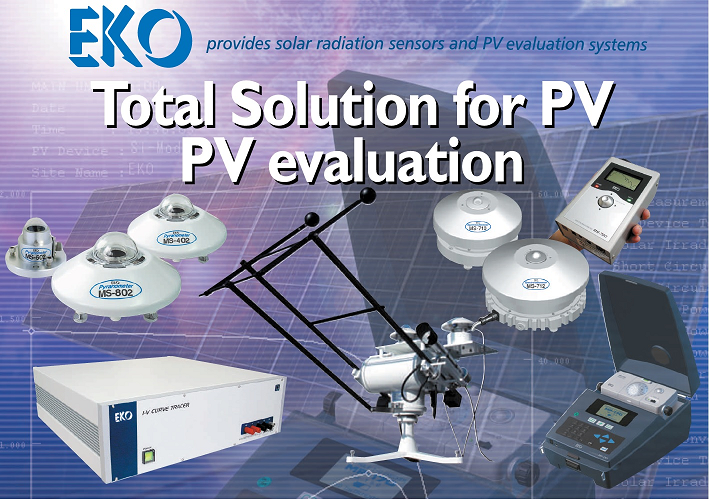 EKO Instruments provide specific measurement solutions for the solar energy market for solar cell evaluation, research and development to verification tests and practical operation. 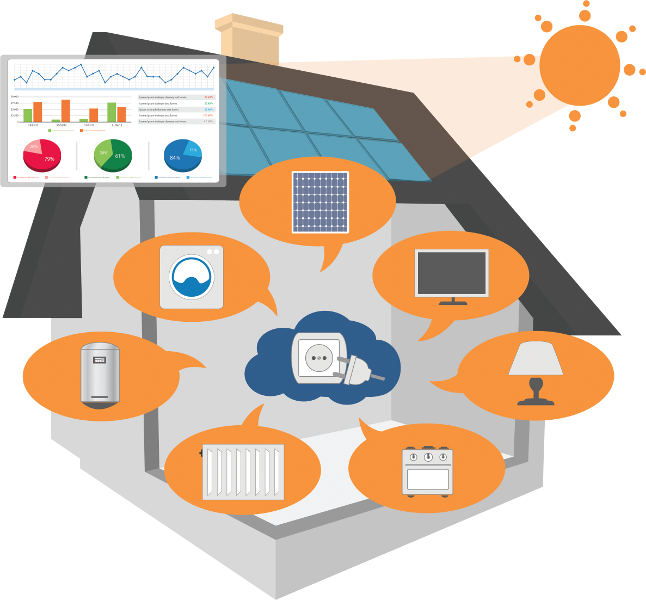 We provide a wide range of PV products and measurement total solutions for different applications, involving everything from cell evaluation (indoor measurements) to module and array evaluation (outdoor measurements). 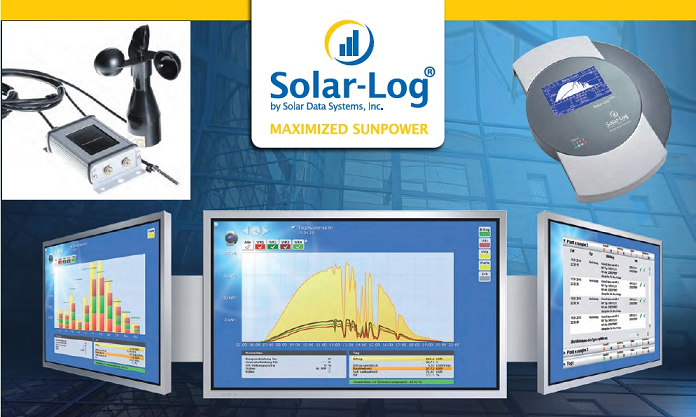 Our know-how and technology standards which have been explored over the years of handling pyranometers, radiometers, and other instruments used outdoors for meteorological observation are applied to evaluating the performance of solar cells.